Hi and welcome. I have gained a few more fans since the last Granny Square CAL so I thought I would do it again. This blanket is was meant to be queen size but due to my joining method it fits on my queen size bed with a decent amount of overhang and will fit on a king size bed. You can find all the information on the end blanket here. Since I have already made the blanket I am going to aim to do one of the squares each week. 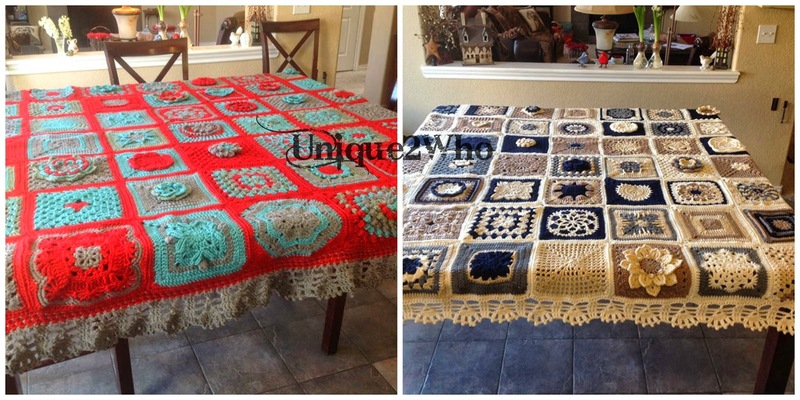 I am planning to donate my finished blanket or auction it off and give the money to charity. We all have crochet blankets in my house so hopefully someone can benefit from it. Once again I will be using scrap yarn I have lying around. 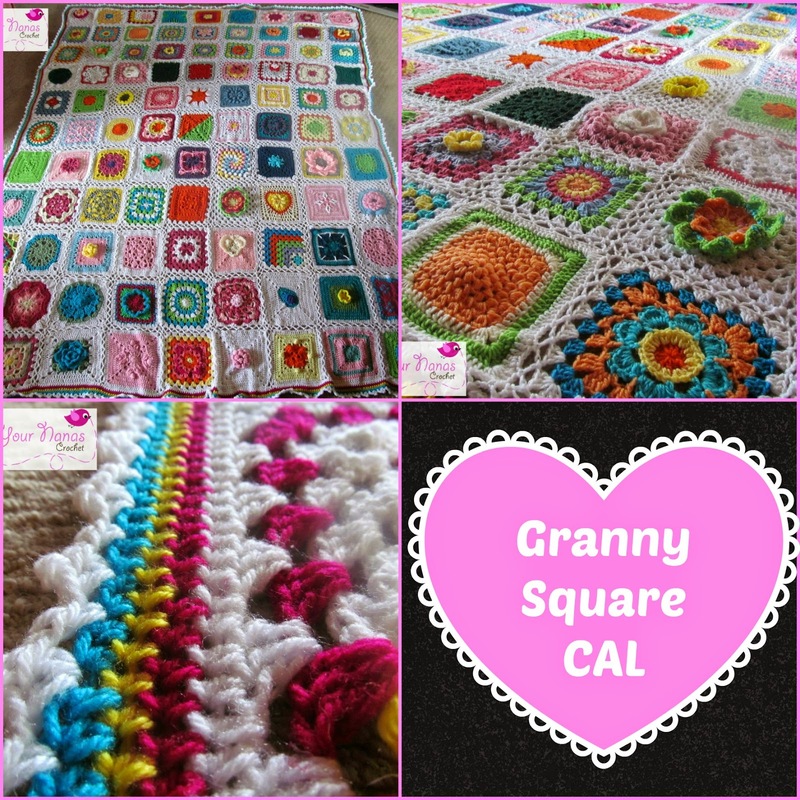 Granny Squares are great for this as you only need a small amount of colour for each round. I will be using DK yarn as this is what I have on hand and a 5.0 mm crochet hook. Feel free to use worsted weight yarn though. Most of the patterns used are written to be easily adjusted and to account for different tensions. Most of the patterns are sourced online with a few of my own added in. Some were originally smaller or larger squares which I have given instructions to make into 8 inch squares. The granny square must have been completed during the week for that draw. I will post the patterns for the squares every Monday (Tuesday my time). You have a week to complete them and post them on the wall. Squares must be posted before Monday morning. I will draw the winner before I post the next lot of squares. First lot of squares will be posted on the 26/5/2014.